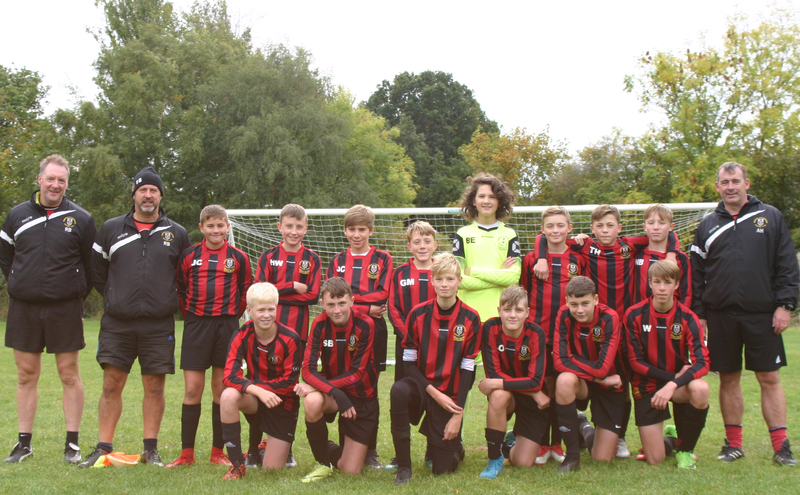 White Rose Allstars U14 Argentina 2 vs. 0 Gomersal & Cleckheaton U14 White - 9 December 2018 - Under 14 White - Gomersal & Cleckheaton F.C. This week the boys had to play on a 4G pitch which suited our opponenets style of play, plus we had to travel south of Wakefield for a leter than normal kick off. The team played very well and pressed the opposition, not giving them time on the ball to play their passing game. Luke Oldcorn was given a man marking job and was oustanding in sticking to his task throughout the 1st half and into the 2nd. We were missing our strikers due to holidays, but we still competed well. Bryn Evans was confident and pulled off several saves. It was 0-0 at half time. The boys continued to press, but you could see them getting tired as the pitch was full size. Bryn Evans made another good save, unfortunately it fell out to one of their team to tap in. It stayed like this until late on when a very questionable free kick was awarded right on the edge of the box. We were slow to setup the wall and because of the huge goals made it easy for them to score from it. There were some great performances from Elliott Atkinson, Luke Oldcorn, Callum Snowden, Alex Hughes, George Boulton, in fact the whole team were superb and if we would of had our strikers and on grass things could of been different. Bryn Evans was awarded MOM by our guest linesman! Well done boys, great team spirit.